The weather is turning warm (sort of), so it's time to update our "what we're reading" list. Pinky has been on a real graphic novel kick lately. 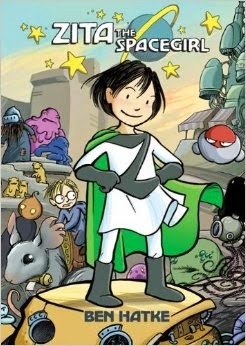 I love to check out the book recommendations at A Mighty Girl, and the Zita series caught my eye. Pinky has read the first two books in one day and is patiently waiting for our library to get a copy of the third book. I picked up Sketch Monsters on a whim. 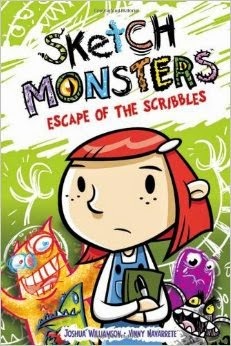 A story about a girl who draws her feelings as monsters in a sketch book (who then escape and nearly destroy her town), it was a hit with Pinky. 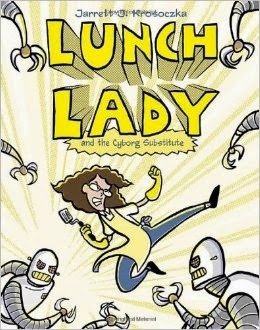 Pinky's also in the midst of reading the Lunch Lady series and Timmy Failure (which she has deemed hilarious). 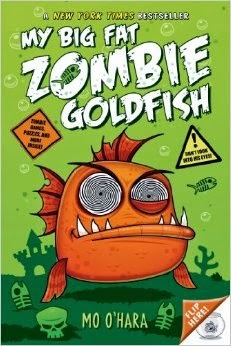 My Big Fat Zombie Goldfish was another quick and fun read for her. 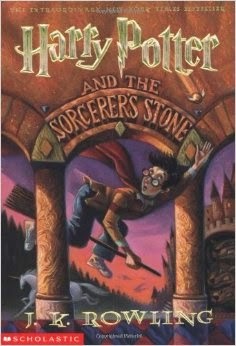 Much to my delight she is also plowing through the first Harry Potter book. We started reading it together, but when I wasn't home to read it to her one night she just continued on without me. Chaos has really taken off in his reading lately. After reading lots of Bob Books and readers from his school he was pretty excited to get his hands on some new books from the library. 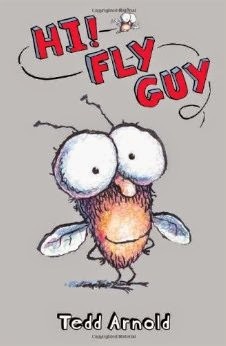 We checked out the Fly Guy series on the recommendation of a friend and were not disappointed. Chaos loved these books and the reading level is perfect for him. 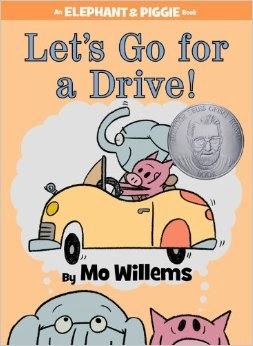 We're also loving the Elephant and Piggie series by Mo Willems. Both Chaos and Wild One crack up at the stories (even Pinky has been seen with her nose in these books). 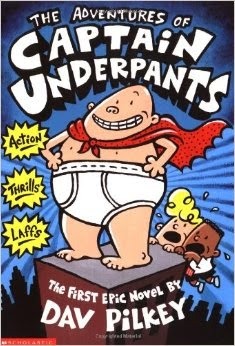 We just started reading Captain Underpants together. It's not my type of humor, but is right up his alley. Sometimes we have to stop reading because he's laughing so hard he can't hear me. We usually read to the little girls together so many of their favorites have been the same. 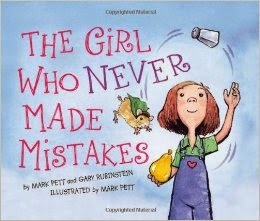 Another 'A Mighty Girl' recommendation, The Girl Who Never Made Mistakes, was a great read with a great lesson. 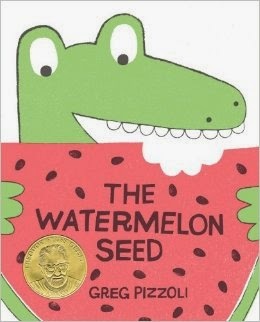 The Watermelon Seed was a short and funny book that they wanted to read over and over again. 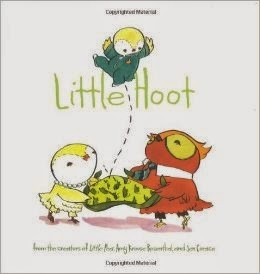 Little Hoot was a cute story about a little owl who just wanted to go to bed early, but his parents made him stay up. 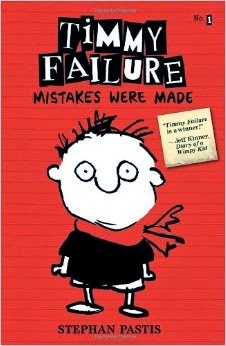 From the same author as Little Pea, this book is a fun story. Fanny came in Wild One's Easter basket this year, and it has quickly become one of my favorite books. When Fanny's mom won't let her get the Connie doll that all of her friends have, she sets herself to making her own Connie doll. 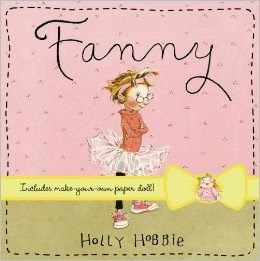 The result isn't perfect and Fanny is a little insecure about her doll at first, but she soon recognizes that her doll is different in a good way. What a fun list of books you're reading these days. The graphic novels look really interesting, we love Mo Willems, and I'm really interested in the Holly Hobbie book. 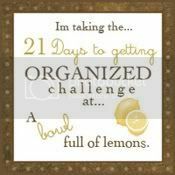 Will be on the lookout for all of these. Thanks so much for sharing at Booknificent Thursday! It's great to have you!